I’m a huge fan of the finger gesture application, BetterTouchTool, mainly because it’s an application that helps reduce the need for typing keyboard shortcuts and clicking on menu items. I’ve written about BetterTouchTool (BTT) in several articles for this site. 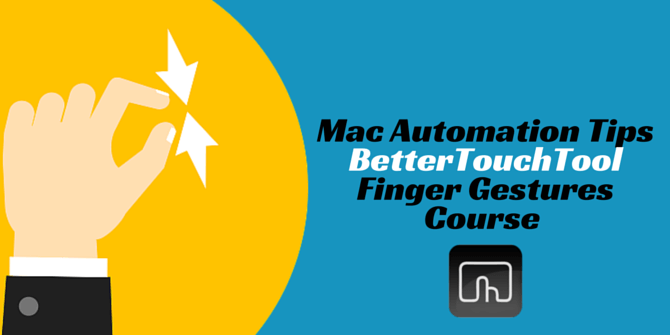 Some of the articles talk directly about how to use BTT, while other articles include strategies and tips for using BTT with other Mac automation applications and workflows. My new course though will provide a well-rounded overview BetterTouchTool and it will particularly useful for those who are new the program or would like to get more out of it. OS X includes default multitouch finger gestures, but the features are embarrassingly limited compared to BetterTouchTool, which includes hundreds of actions and dozens of finger gesture combinations. If you work at your Mac on a regular basis, I highly recommend BTT as one of the first Mac automation applications you should start using. Take my hand off the keyboard. Move the cursor to the Dock to activate iTunes. Move the cursor up to the pause/play button, or hit the space bar. With my BTT gesture, I simply move the cursor up to my menu bar, from within any application, and tap with two fingers to pause or play a song. Or I can click on the top-left corner of my trackpad to toggle iTunes control. As you work at your computer, notice what type of actions you perform on your Mac using your trackpad or mouse. Also, most importantly, notice when you have to move your hand back from your mouse or trackpad in order to type a keyboard shortcut. More than likely the movements you’re making can be done easier and quicker with an assigned BTT finger gesture. 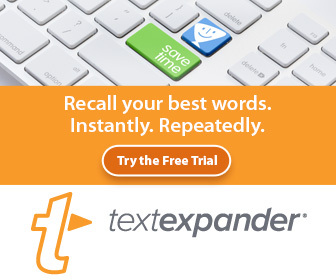 I’ve been using BTT for several years now, and though the application doesn’t have a high learning curve, it did take me several months to learn and take advantage of all its features. When you work through my course you will get to know all the main features faster than I did. Plus, you will get access to my course related email to ask questions as you work through the tutorials. I would like to hear your thoughts about BetterTouchTool, and any input you have about my course. My goal is to build courses that dig deeper into Mac automation applications and strategies. The more feedback I receive from you my readers, the better I can do in building my courses and writing content for this site. June 10th is the date on the post, yet July 10th is what is on the payment page – just FYI, will need to look at that. Awe, Lee, thanks so much for letting me know that. I’ve made the correction, and the course will be posted up on June 10th. And thanks for signing up. And great to see your Mac site. I think I follow you Twitter. If not, I will be. Keep in touch.